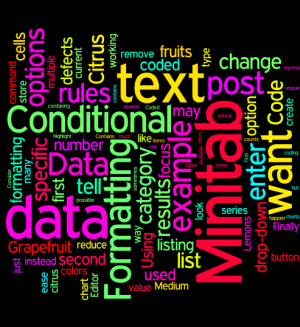 In this post we continue to explore some of the useful tools for working with text data, and here we’ll focus on Minitab’s Data menu. 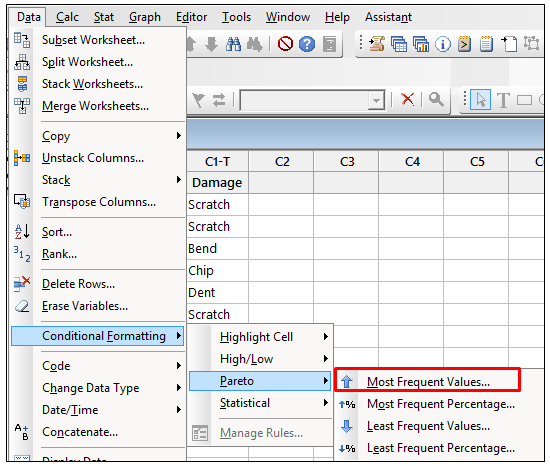 This is the second in a 3-part series, and in the final post we’ll look at the new features in Minitab’s Editor menu. 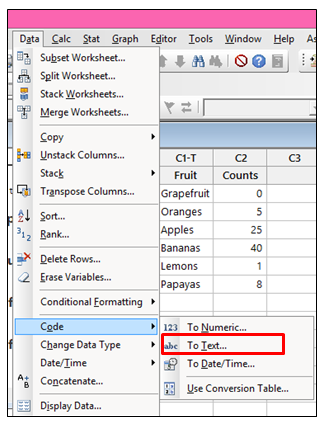 When I think of the Data menu, I think manipulation—the data menu in Minitab is used to manipulate the data in the worksheet. This menu is useful for both text and numeric data. 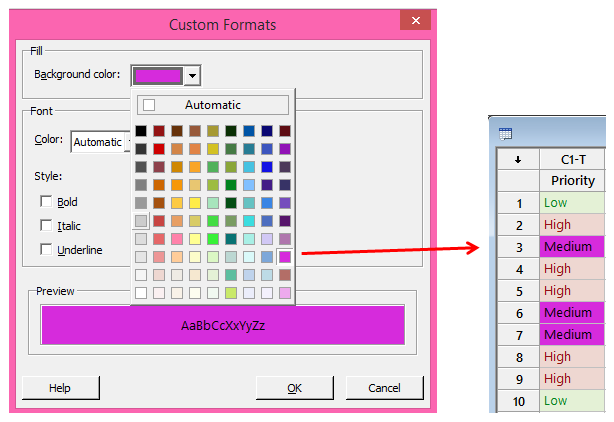 Let's focus on two features from the Data menu: Code and Conditional Formatting. 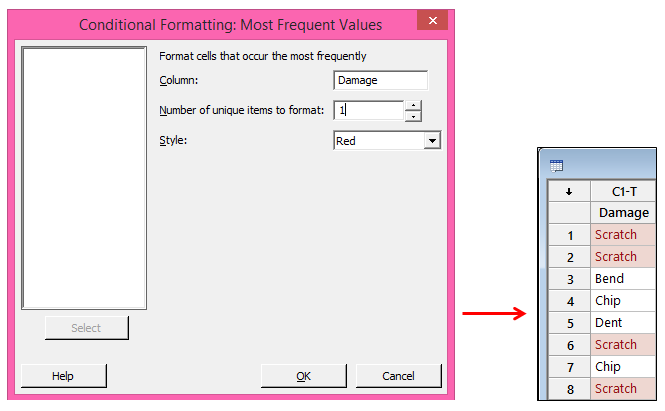 This is a relatively new feature in Minitab, one which came about as the result of many requests from users who wanted the ability to control the appearance of the data in the worksheet. Because there are many options available in the new menu, we’ll just focus on two options as examples. 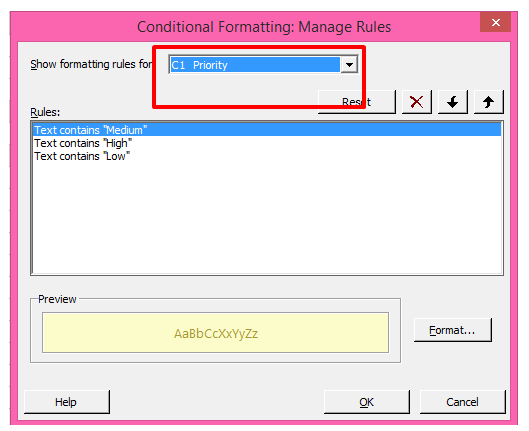 The other options behave in a similar way, so a basic understanding of these two examples should be helpful in applying the other options in Conditional Formatting. 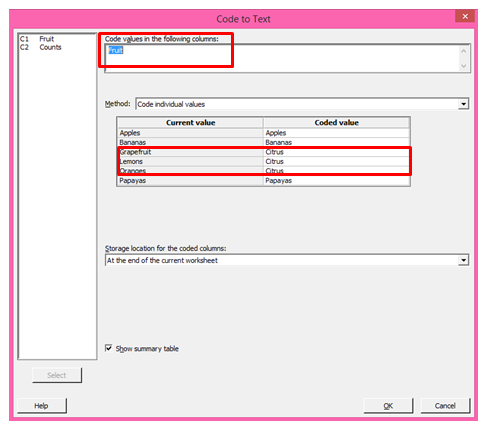 The rules applied to the selected column are listed under Rules. We can remove a specific rule by clicking on a rule in the Rules list, and then clicking the button with the red X.
It’s much nicer in hot pink, wouldn’t you agree? 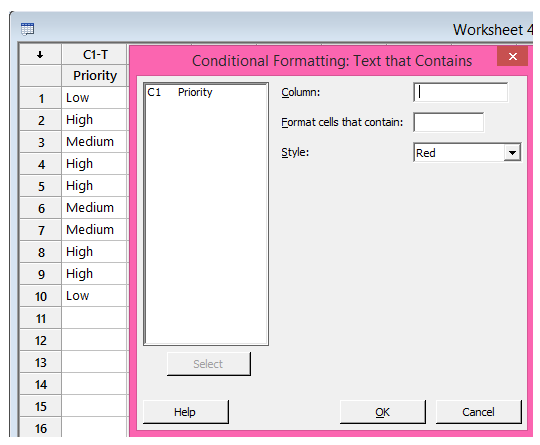 In my final post in this series, we’ll look at the new features that ease the pain of manipulating text data using the Editor menu.